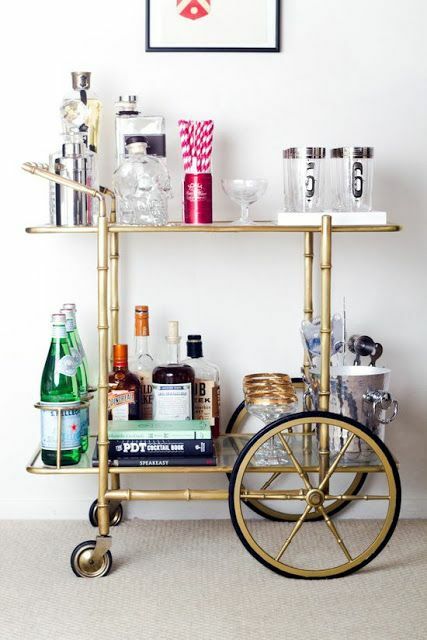 The next mini-project on my list is to make over a dull boring bar cart. 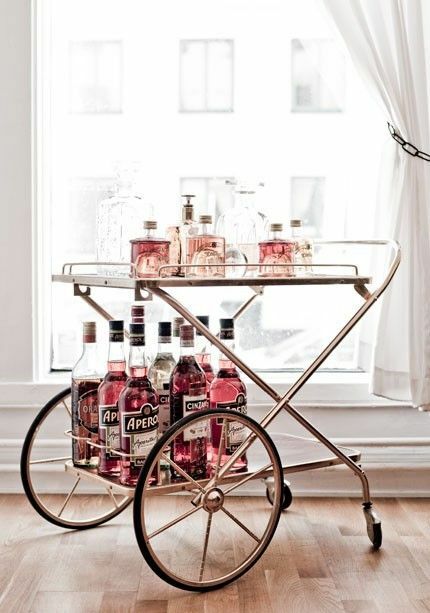 As I browsed through Pinterest for inspirations, I discovered that the use of bar carts are limitless. 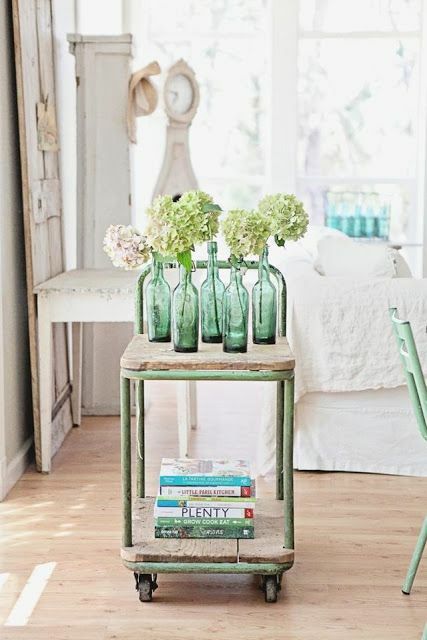 Not only can you use them for drinks + entertaining but also as bedside tables, bath carts, or even as bookshelves. 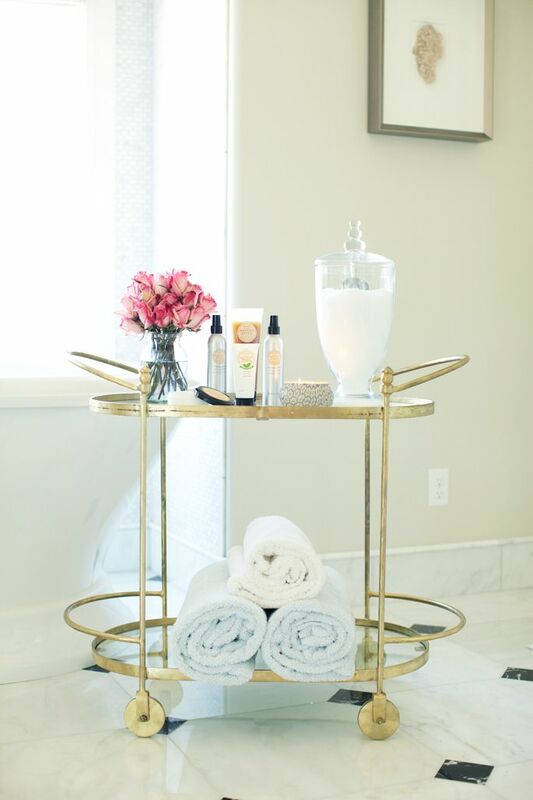 As I dug deeper and deeper into the pages of Pinterest for bar cart styling ideas, I was convinced that my life would be simplified if I were to have a couple of these stylish versatile wheeled tables around. 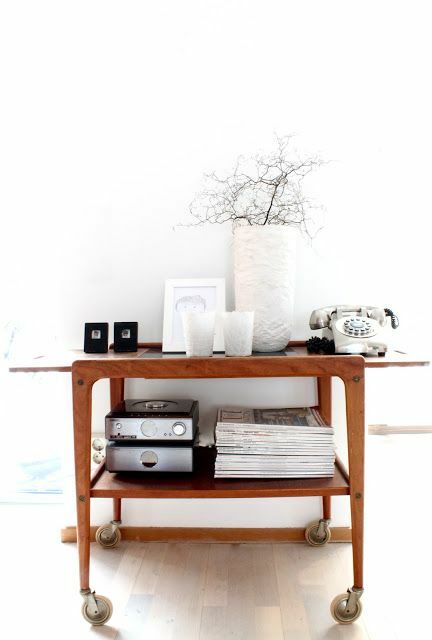 Yes, I would do anything to make life less cluttered and more simple. 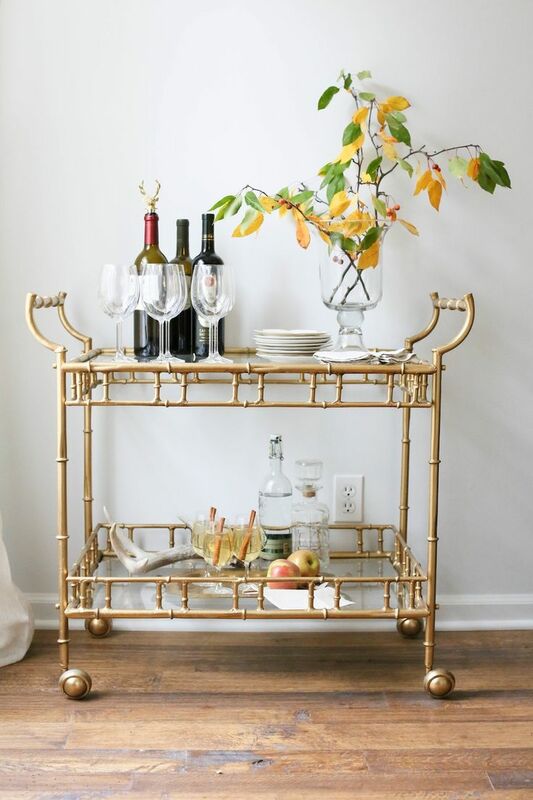 What is your take on bar carts? Please share! 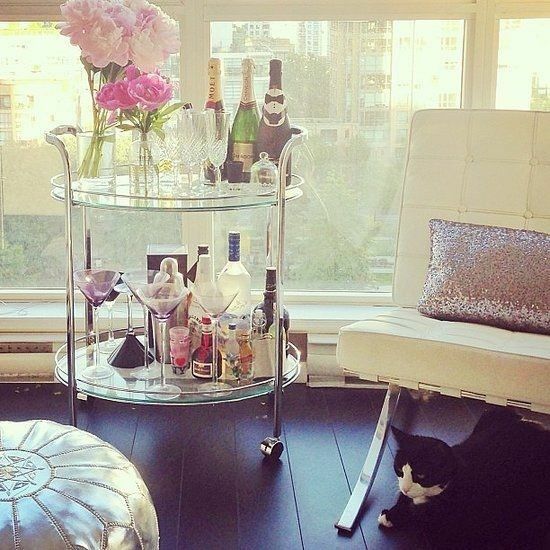 Also, stay tuned for my bar cart makeover. 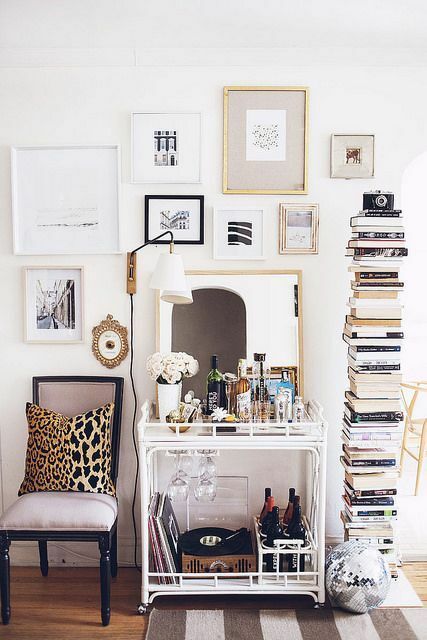 This is on my to-do list as well – love your ideas! 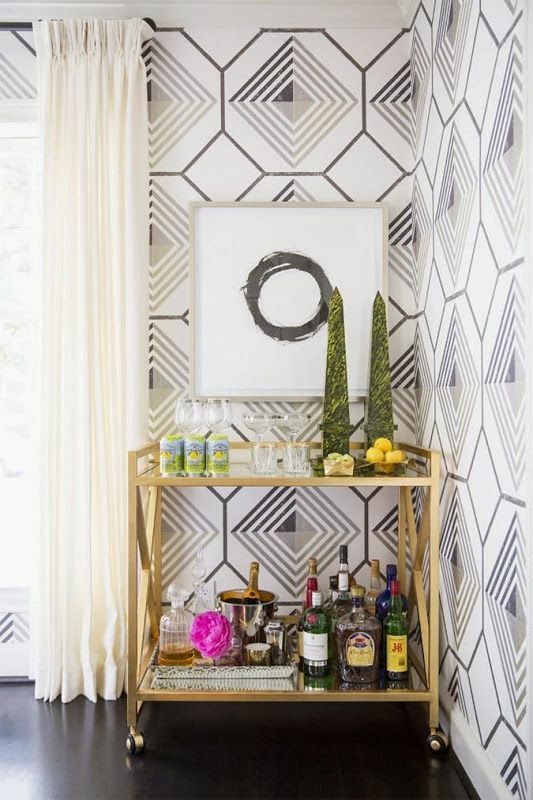 This makes me want to have a bar cart! My Mother-in-law has a old wooden one she keeps outside ( NO! ) and I always want to steal it but right now in our tiny house we have no room. When we move I am definitely stealing it and making it mine. Great Post! Hi Kellie! Do you plan on doing any Fall touches to your home? I’d love to see!